This year at the Healthcare Distribution Alliance (HDA)’s PCSC Educational Seminar in East Hanover, New Jersey, I had the pleasure of meeting Tony Orosz, assistant director of the Pharmaceutical, Health and Chemical Center of Excellence and Expertise with the U.S. Customs and Border Protection (CBP), an agency of U.S. Department of Homeland Security (2). 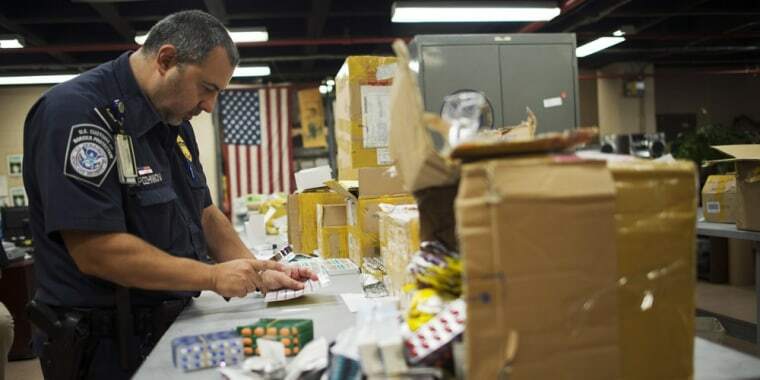 A leader in combating the counterfeit drug market, Tony gave an illuminating speech and spoke with compassion and urgency about the true cost of counterfeit drugs, relaying the fact that the John F. Kennedy Airport alone sees over 78,000 packages a day. With an ever-increasing volume of shipments from mail order pharmacies among them, the sheer magnitude of inspection necessitates a lengthy process and battery of tests to verify the veracity of the pills, one that is both too time and resource-consuming for us to continue given an ever-escalating number of incidents. As it’s LSPediA’s core commitment to furthering best practices in pharmaceutical supply chain management and, ultimately patient care, we feel compelled to create this series to dive deeper into the true cost of counterfeit drugs and what we can do to counteract them. What’s in these drugs, and equally as important, what’s not? While in the past, the core focus of counterfeit drugs was on fraudulent versions of “lifestyle” drugs like baldness and erectile dysfunction remedies, there has recently been a more ominous shift towards more life-saving and urgent treatment therapies for active infections and life-threatening conditions such as malaria, tuberculosis, HIV/AIDS, and cancer (4). In addition to harming the patient by denying them essential active ingredients, tests run by the Customs and Border Protection (CBP) revealed many counterfeit drugs contain toxic compounds such as sawdust, rat poison, paint, baby powder, etc. (3) Oftentimes, it’s these toxins that kill and poison patients outright. Other times it’s the lack of active ingredients in what should be an essential therapy that may contribute to death. By taking counterfeit drugs, not only are patients put directly in harm’s way from poisoning and toxicity, they may also lose the potentially life-saving treatment they desperately need and deserve. Due to ever expanding access to drugs anytime, from anywhere, the presence of counterfeit drugs now affects both communities continents away as well as the neighbor next door. Many mail order counterfeit pharmaceuticals are actually manufactured in South East Asia or developing countries but routed through countries such as Canada to engender credibility and gain the trust of potential buyers, which include not only individuals but also physicians and hospital groups. The source of these counterfeit drugs come primarily from internet pharmacies, in which there were 50,000 in operation as of 2016. Within these 50,000 internet pharmacies, it’s estimated 95% are noncompliant with the laws and industry standards created to protect patients (a full list of internet pharmacies that meet NABP standards can be found here). (6) What’s worse, over the years, illicit internet pharmacies have become more adept at making it harder to distinguish between legitimate and illegitimate internet pharmacies, with organized call centers and marketing campaigns that allow them to target physicians and sell their illegal counterfeit or diverted prescription drugs. What is the financial cost of counterfeit drugs? In addition to the enormous amount of deaths caused by the counterfeit drug pandemic, fake pharmaceuticals have also created widespread financial consequences. These fraudulent drugs have caused $200 billion in annual sale loss, in addition to all the money going towards marginally effective counterfeiting methods. Aside from the quantifiable cost, the counterfeit issue strikes a reputational cost as well. Illegal versions of a company’s manufactured pill can cause severe damage to the company’s brand, since the patient will most likely remember the name on the bottle after taking a pill that hurts or fails to help them. (4) With the high price tag of combating fraudulent medications and doing reputational damage control, it is reasonable to assume some of the costs are being pushed onto consumers, further driving up already high drug prices. Given the enormity and immeasurable life and death consequences of this issue, it is imperative we find solutions to combat counterfeiting immediately with urgency and empathy. New technologies, like LSPediA, now hold promises for enhancing manufacturing efficiency and even boosting sales as customers discover that they can buy drugs safely on the Internet. With both the severity and scope of the issue increasing every day, we are proud that LSPediA offers a proactive solution which protects the safety and peace of mind of patients everywhere. Stay tuned this month for helpful tips from the U.S. Customs and Border Protection (CBP) and National Intellectual Property Rights Coordination Center on how to protect your company from the growing threat of counterfeiting and piracy.